EGL vs GIA Diamond Certification - Don't get Ripped Off! You can read the longer breakdown below. In short, EGL vastly (and inconsistently) inflates their quality claims. You may stumble across something like this on Amazon, and think you’re getting a good deal. After all, it comes with a certificate. In reality, you are likely getting overcharged for an inferior product. It always kills me when people message us after they already purchased thinking they got a great deal only to see that they fell for one of these tricks. I wish they had hit the contact us button sooner. For example, I found an EGL certified 1.00ct H VS1 ideal cut online for $4,450. You may think that is a fantastic deal. In reality though when EGL claims its an H VS1, 50% of the time its a J SI1 and 50% of the time its a J SI2 or K SI1. Compare that to these diamonds. Here is a 1.06ct J SI1 excellent cut with legitimate certification for $3,785. So at the best cast scenario, you are overpaying 18% for the EGL certified diamond. But you are just as likely to be getting an even worse diamond. Here is a 1.15ct K SI1 excellent cut for $4,290. If you are unlucky with the EGL stone, you end up overpaying by 35%. You may be in for a rude surprise as well if you buy what you think is a nice diamond. Then you try to put it into a beautiful halo setting like this one and the diamond looks yellow despite a high color grade on the EGL certificate. You can see more in the video Ira created that really digs deep into this issue. Bottom Line, you should never buy a diamond with an EGL certificate. The reason you buy a diamond with an independent certificate is that you have peace of mind you are getting the quality you are paying for. EGL does not do that. In fact, its the opposite. EGL is only used to fool consumers into overpaying for an inferior product. 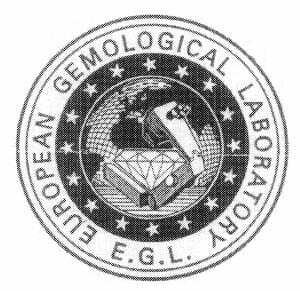 Unlike the GIA and AGS, The EGL (European Gemological Laboratory) is a for-profit organization. Not coincidentally then, the EGL is consistently “looser” than the GIA. I used to call on a very shrewd jeweler in Pittsburgh named Michael Kurtz. He owned a nice little shop called Goldstock Jewelers. He used to keep a 5 carat pear shape displayed in his showcase with two certificates on either side of the diamond. One was from the GIA and one was from the EGL. If I recall correctly (it was a long time ago! ), the GIA certificate graded the stone as a “J” color with a “VS1” clarity. The EGL graded the stone with an “H” color and a “VVS2” clarity! Generally speaking, an EGL certified diamond will compare to a GIA certified diamond of 3-4 grades lower (depending on the particular EGL lab). 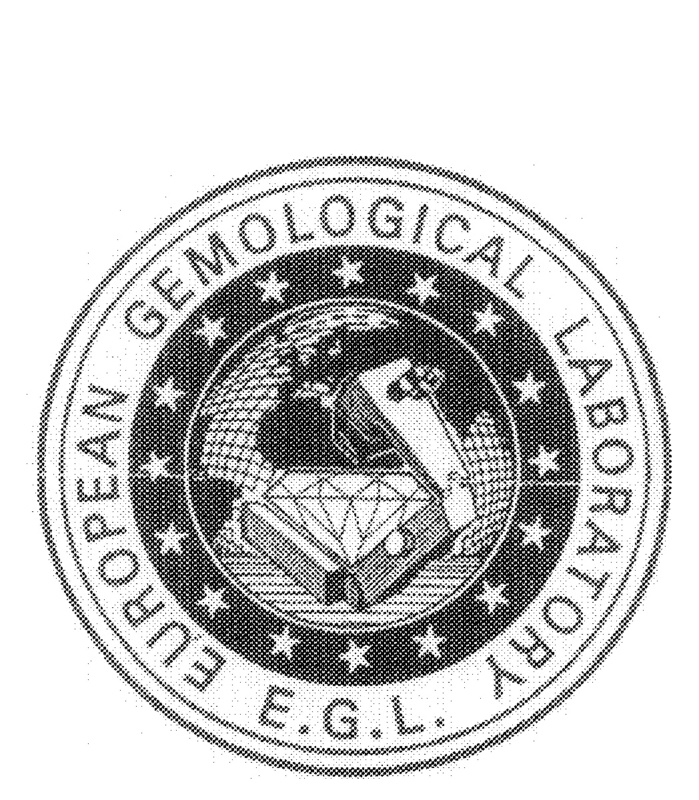 GIA is the gold standard lab, respected by the entire industry, while EGL is unreliable and known for inflating grades. 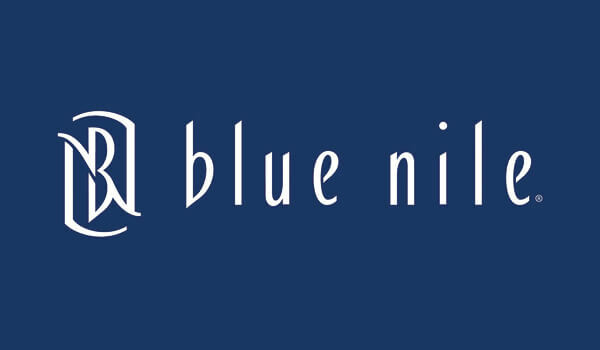 Likewise, James Allen and Brian Gavin Diamonds will not stock any diamonds certified by EGL. They limit their inventory to diamonds certified by GIA and AGS. As a for-profit organization, they made a few very shrewd observations in the market and delivered very effective solutions. First of all, the GIA and AGS are too expensive (a 1 carat diamond can cost around $100 to certify!). Secondly, they both offer terrible service. Additionally, they used to take a very long time to grade the diamonds sent to them. 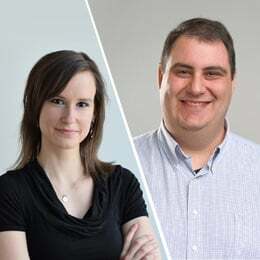 Furthermore, both the GIA and AGS don’t offer “pre-cert” options – this basically allows the company sending in the diamond for certification to only pay for the grading service and not for the certificate and only decide after receiving the results if they want to pay for the certificate to be printed. This explains why EGL became as popular as it did for diamond merchants, but the fact remains that as a consumer you have to be extremely careful buying an EGL graded diamond. If I had to estimate the average “upgrade” received from EGL for an identical diamond versus the GIA, I would estimate 2.5 upgrades either from color or clarity or both. For example, if the GIA would grade a diamond an “I” color and “SI2” clarity, receiving an “H” color and “SI1” clarity would be consider two upgrades (one color + one clarity). But if that same diamond received a “G” color and “SI1” clarity, it would be considered three upgrades (two color + one clarity). The entire diamond market is aware of this, of course, and therefore EGL graded diamonds sell at a significant discount when compared to diamonds of equivalent grades certified by the GIA. One more important note: the different EGL locations are all separately run businesses. EGL Los Angeles, and EGL New York have the best reputations. 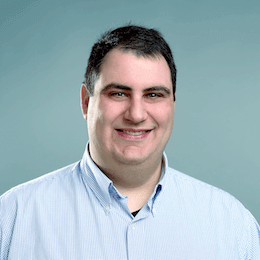 EGL Europe and EGL Israel are known to be so loose that they are bordering on fraud. What I’ve explained in this article until this point is from the point of view of the diamond manufacturer. But what should you do, as the diamond consumer? Almost without exception, you should never buy an EGL certified diamond. Firstly, lets dispose of the obvious – EGL certificates originating from Israel, Europe, or elsewhere other than New York and Los Angeles are for all intents and purposes fraudulent. Diamonds that would obviously be graded GIA I1 – The Rapaport price list gives very low prices for I1 clarity diamonds. This is a significant problem because the GIA I1 clarity grade has a very wide range. Within that grade, there are stones that just barely missed getting the SI2 grade, and there are stones that are really strong I1s that are in a completely different class than the nice GIA I1s. Because of this discrepancy, diamond companies will almost never send their nice I1s to GIA. They will either sell them as loose diamonds, or they will send them to EGL to receive either an SI2 or SI3 clarity grade. Even though these stones will be sold at a much steeper discount to the Rapaport price than their GIA equivalent, the diamond manufacturer will still make more money this way versus selling the diamond loose or selling the diamond as a GIA I1 with a smaller discount to the I1 Rapaport price. If you’re considering an EGL SI2 or SI3, you need to realize that while most companies don’t certify GIA I1s, some do. And those are by definition a better value for you. The companies who do use EGL for these stones are only doing it to make more money on the same stone. So you have a choice. You’re buying one stone. Would you rather that stone have a GIA certificate that says I1 and the price will be less, or would you rather that stone have an EGL certificate that says SI2 and the price will be more? Remember, it’s the same stone! The answer is obvious. Furthermore, the majority of stones at this quality level aren’t eye clean anyway – so most definitely even if you’re considering buying an EGL SI2 or SI3, you can never do this blind. You must be able to inspect the stone first. The odds of a stone like this being truly eye clean are remote at best. Diamonds that would receive SI2 or better from GIA – The modus operandi for the vast majority of diamond manufacturers is that they first send their productions to GIA. When they get the results back from the lab, they review their stones one by one to see how they can squeeze out more profit. Recheck a stone here. Recut a stone there (either to improve clarity or cut). Another popular way to squeeze every bit of juice out of a diamond production is to review the results from GIA and decide which stones have the potential to receive enough of an upgrade from EGL to offset the higher discounts to the list prices and therefore make more money. There’s little risk in doing this, since EGL offers pre-certs – meaning that the company sending the diamond for inspection only pays the full amount if they OK the results (as opposed to the GIA where you have to pay the full amount regardless of the results). And you know what the company will do if the diamond gets enough of an upgrade to make the stone worth more as an EGL certified stone? They simply throw away the GIA cert and pretend it never existed. So I ask you again – The same stone is certified by GIA as I SI2 and certified by EGL as G SI1. Would you rather pay more for the stone buying it as an EGL, or would you rather pay less buying the stone as a GIA? Again, it’s the same stone! As you can see, in pretty much every case across the board, the very presence of an EGL cert almost invariably implies that the stone is certified this way to make more money for the vendor vs keeping the stone’s original GIA certificate. You’re better off searching for a GIA certified stone that’s two or three color grades lower and one or two clarity grades lower and most importantly – cheaper. Bottom line is, don’t buy an EGL certified diamond. No matter how “cheap” it seems to you compared to GIA certified diamonds, it’s all a game. Any EGL certified stone in the market is, by definition, more expensive than itself as certified by the GIA.